William married Mabel Augustus Beatrice Ellrows Lillias Ling, daughter of John Ling and Alice Jane Alexander. Mabel was born on 21 Jan 1882 in Emu Bay, now Burnie, Tasmania and died on 11 Feb 1923 at age 41. Another name for Mabel was May. William Michael Henry Dobson married Mabel Augustus Beatrice Ellious Lillias Ling on 2nd July, 1902 just 16 days after his discharge from service in the Boer War. The marriage ceremony was conducted at Henry and Sarah's homestead at Pineroad. William and May farmed at Pineroad where their six children were born. 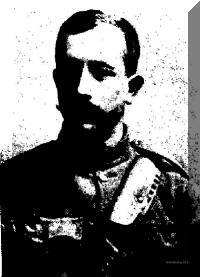 William Michael Henry passed away at the age of 35 on 9th July, 1913. In later years his wife remarried and passed away on 11th February, 1938. Shortly after the death of William the eldest child, Cyril went to Melbourne where he was an apprentice jockey with his Uncle Archie Ling, who incidentally trained the great horse, Archer, which won the first two Melbourne Cups. Cyril went on to become a very successful jockey. TX1173 Private John Clarence Dobson enlisted in the A.I.F. in 1940 and served in the Middle East campaigns. He passed away on 5th July, 1943 of a gall bladder complaint whilst on leave. SOME FURTHER DETAILS, BURNIE, Friday. Additional particulars were obtainable today respecting the death of W.H.M. Dobson, who was found dead on Thursday afternoon on the northern edge of the racecourse, in front of the Blythe Hotel. Deceased left his home about 11 a.m. on Monday, and travelled to the Blythe Hotel, where, as reported into-day's "Examiner," he spent the night. During his stay at the hostelry, which extended from about noon on Monday until about 8 a.m. on Tuesday, he did not partake of any food, and not more than a couple of glasses of liquor. There was nothing about his demeanour to cause the licensee, or other inmates, to think that deceased contemplated taking his own life. On the other hand, he seemed very contented, having slept soundly for a couple of hours during the afternoon. The overcoat he brought to the hotel was left behind. Feeling satisfied that deceased had not gone to Ridgeley to work, as his relatives thought, Trooper Gillam, of Penguin, sought the assistance of deceased's brother Walter, and both commenced to search the foreshore of the river forming the northern edge of the racecourse. After some little time Mr. Dobson noticed the feet of a man through the scrub, and calling the constable, the body of deceased was found. The sight was a ghastly one, the jugular vein being completely severed. A remarkable feature about the affair is that after deceased had inflicted the fatal injury, he folded the razor and placed it in one of his pockets. No articles of any value were found on the body, which was removed by the trooper to Penguin, where an inquest will be held at 2 p.m. tomorrow. Deceased served in one of the Tasmanian contingents that went to South Africa. 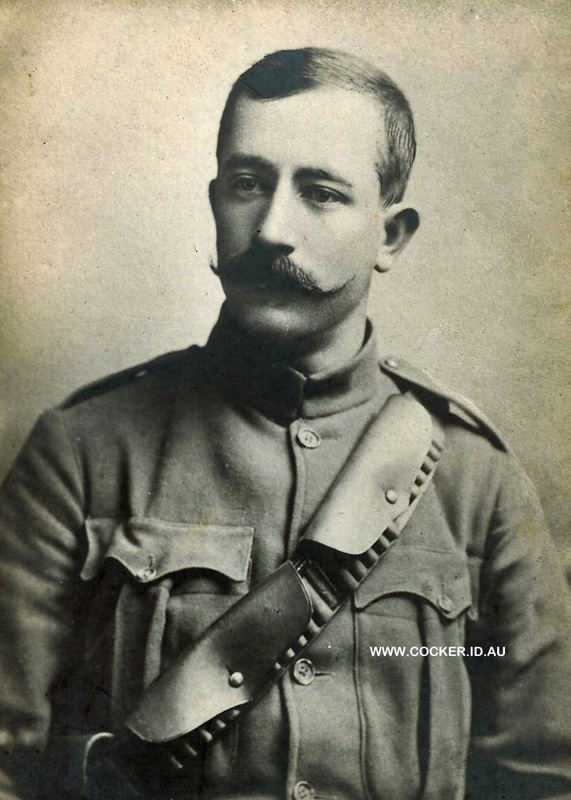 He generally followed farming work and mining, having spent a couple of recent years in connection with the latter occupation at Waratah. 4-Cyril Harold Bertram Dobson was born on 16 Sep 1896 in Pine Road, near Penguin. 4-Ruby Alice May Dobson was born on 2 Apr 1903 in Pine Road, near Penguin and died in Aug 1953 at age 50. Ruby married Jack Bruckner. Jack was born about 1900. 4-Clarence John Dobson was born on 10 Jul 1904 in Penguin and died on 5 Jul 1943 at age 38. He served in the Second World War. 4-William Henry Dobson was born on 16 Sep 1906 in Pine Road, near Penguin and died on 5 Sep 1973 at age 66. William married Lila Annie Amelia Hall, daughter of Leonard Clifton Hall and Amy Eveline Zeprina French, on 28 Mar 1928 in St. Stephens Church, Penguin. Lila was born on 3 Sep 1912 in Ellenton. They had three children: Dale, Leonard William and Valma May. 5-Dale Dobson was born on 6 Jan 1930. Dale married Patricia Murnane. Patricia was born on 14 Jul 1932. They had three children: Dianne, Alan and Wayne. 6-Dianne Dobson was born on 25 Jan 1954. Dianne married Gary Ewington. Gary was born on 12 Jul 1953. They had three children: Bradley, Clay and Emma Kate. 7-Bradley Ewington was born on 27 Jun 1981. 7-Clay Ewington was born on 3 Aug 1983. 7-Emma Kate Ewington was born on 3 Dec 1987. 6-Alan Dobson was born on 17 Oct 1955. Alan married Dianne Gibson. Dianne was born on 5 Jul 1958. They had two children: Rachel Kathleen and Kristy Anne. 7-Rachel Kathleen Dobson was born on 18 Aug 1981. 7-Kristy Anne Dobson was born on 9 Dec 1985. 6-Wayne Dobson was born on 8 Apr 1958. Wayne married Tina Williams. Tina was born on 4 May 1959. They had two children: Ebony Jayne and Eloise Anne. 7-Ebony Jayne Dobson was born on 13 Apr 1988. 7-Eloise Anne Dobson was born on 19 Jan 1992. Dale next married Marcia Alice Crisp. Marcia was born on 3 Aug 1946. They had three children: Paul Andrew, Ricky James and D'Nella Joy. 6-Paul Andrew Dobson was born on 2 Nov 1969. 6-Ricky James Dobson was born on 25 Aug 1975. 6-D'Nella Joy Dobson was born on 7 Jul 1977. 5-Leonard William Dobson was born on 18 May 1933, died on 23 Nov 2006 in the Launceston General Hospital at age 73. Leonard married Pauline Eva Filbey. Pauline was born on 19 May 1939. They had four children: Sylvia Ann, Katherine Lenna, Debra Pauline and Geoffrey William. 6-Sylvia Ann Dobson was born on 28 Apr 1956. Sylvia married Christopher Pitt Hammond. Christopher was born on 23 Nov 1952. They had one daughter: Melissa. 7-Melissa Hammond was born on 16 Jan 1974. 6-Katherine Lenna Dobson was born on 1 Nov 1958. Katherine married Christopher James Sale. Christopher was born on 4 Jan 1955. They had three children: Aaron James, Kylie Jane and Mark Allan. 7-Aaron James Sale was born on 14 Apr 1978. 7-Kylie Jane Sale was born on 26 May 1979. 7-Mark Allan Sale was born on 4 Apr 1982. 6-Debra Pauline Dobson was born on 2 Jun 1960. Debra married David Glen Turriff. David was born on 24 Jun 1957. They had three children: Adam James, Brendon Leonard and Erin Lorraine. 7-Adam James Turriff was born on 17 Jan 1978. 7-Brendon Leonard Turriff was born on 25 Mar 1980. 7-Erin Lorraine Turriff was born on 21 Jul 1986. 6-Geoffrey William Dobson was born on 23 Oct 1961. Geoffrey married Lynette Kane. Lynette was born on 31 Dec 1967. 5-Valma May Dobson was born on 7 Dec 1940. Valma married Trevor Clarke. Trevor was born on 26 Aug 1936. They had one son: Craig Nicholas. 6-Craig Nicholas Clarke was born on 8 May 1969. 4-Noreen Pearl Dobson was born on 25 Jun 1908 in Pine Road, near Penguin and died in Aug 1929 at age 21. 4-Sarah Jean Dobson was born on 11 Jun 1911 in Waratah, Tasmania. Sarah married Don Houston. Don was born about 1905 and died on 2 Jul 1971 aged about 66. They had three children: Donald, Peter and John Clarence. 5-Donald Houston was born about 1933. 5-Peter Houston was born about 1935. 5-John Clarence Houston was born on 5 Jul 1943. John married Ivy Medwin.